The Anchorage Assembly voted Sunday morning to extend a declaration of civil emergency for the municipality until Tuesday night as the city’s earthquake response continues. Mayor Ethan Berkowitz declared the civil emergency at 10:45 a.m. Friday in the aftermath of the 7.0 quake that rocked Anchorage. The declaration, which would have expired Sunday morning if it wasn’t extended, allows the city to continue running the emergency operations center; call people in to work overtime or outside regular hours; and purchase items without going through normal procurement procedures. It also allows the police and fire chief to declare a curfew or evacuate parts of the city, though that hasn’t been necessary. 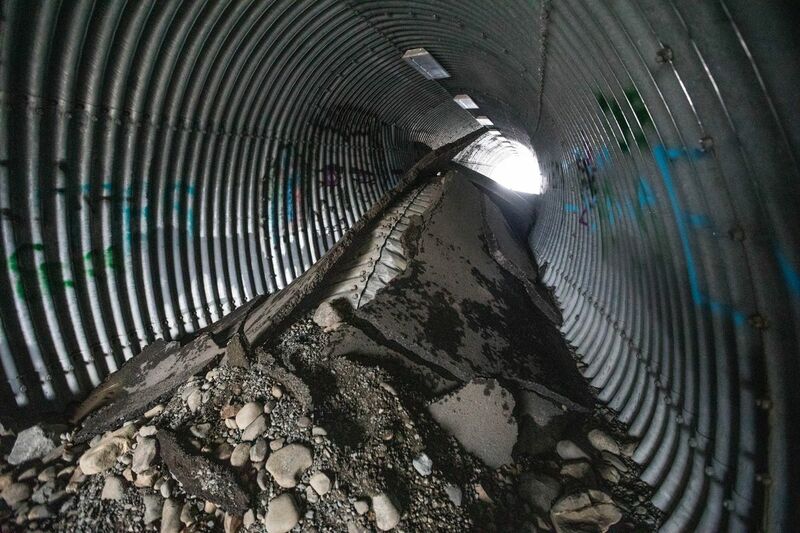 On Sunday, school was canceled for the week and the Alaska Department of Transportation warned people to avoid the Glenn and Seward highways — especially for the Monday commute — due to damage from the earthquake. As repairs continue, here’s where things stand as Anchorage “returns to normal operations,” according to city manager Bill Falsey. No further power outages or mainline gas fractures related to the earthquake are persisting throughout the municipality, Falsey said Sunday afternoon. Municipal water officials lifted a boil water advisory for the area Sunday after determining there were no bacterial contaminants. “The electricity is on, the heat is on, communication lines are up, water and sewer are returning to their normal operating posture, and we expect that to remain the case,” Falsey said. Falsey said the extent of structural damage to commercial buildings around Anchorage is still unknown. Tim Sullivan, spokesman for the Alaska Railroad, said all slide zones have been cleared south of Anchorage. The railroad began running freight from Whittier to Anchorage on Sunday afternoon. 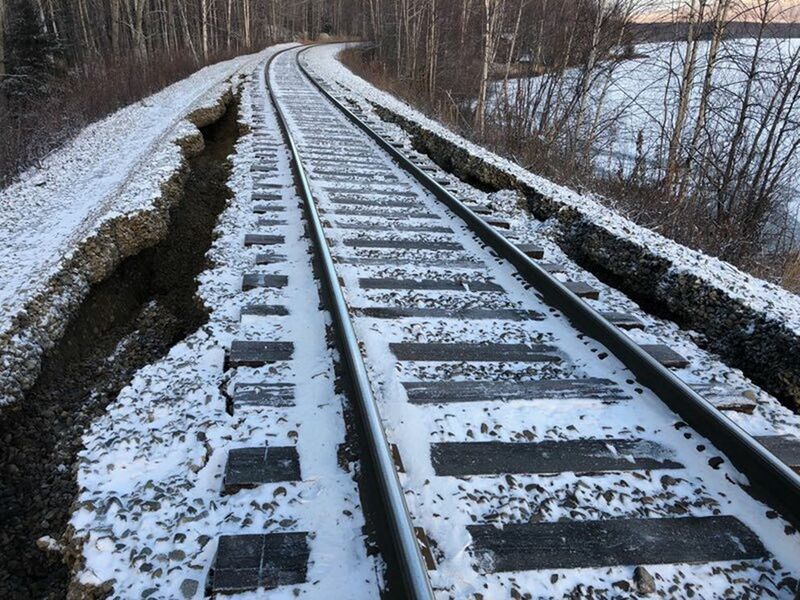 North of Anchorage, two areas still need repairs before the railroad can run trains, Sullivan said. Crews were working through the night Sunday to complete repairs. Sullivan said he is hopeful that the trains will be able to head north within 48 hours. Two waste drop-off locations are available for people to dispose of the extra garbage resulting from the earthquake: the Central Transfer Station in Midtown Anchorage and the Anchorage Regional Landfill in Eagle River. Residential drop-off will be free through Saturday, but municipal officials warn residents to only use the drop-off locations to prioritize the items they most need to dispose of to avoid creating heavy traffic. Falsey cautions Anchorage residents to avoid driving to the Anchorage Regional Landfill, since drivers would have to use the Glenn Highway to get there. “If you can wait, please wait," Falsey said. Officials urged residents to perform welfare checks on neighbors and friends. “If you can’t make contact via phone, make an attempt to physically check before calling for assistance,” Anchorage police said in an alert. 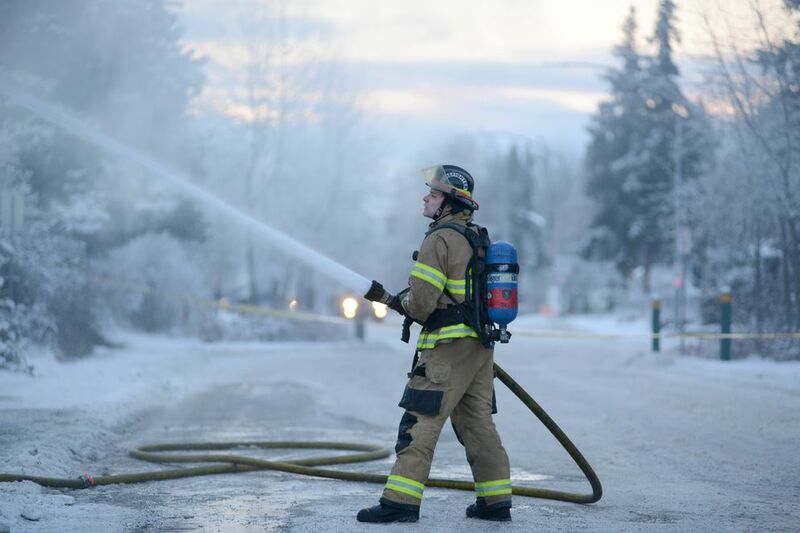 Anchorage Fire Department chief Jodie Hettrick asked Assembly members to use their community councils to send people out to check on their neighbors. The Alaska Native Medical Center will be open Monday for all clinics in both the hospital, Anchorage Native Primary Care Center and all outlying buildings. All clinics from the Healthy Communities Building will temporarily be located in the Anchorage Native Primary Care Center on Diplomacy Drive. Providence Alaska Medical Center has resumed normal operations after Friday’s earthquake. A structural evaluation has been completed, and all damage appears to be cosmetic. The Emergency Department continued taking patients throughout the event and remains open. Alaska Regional Hospital CEO Julie Taylor said Sunday night that the hospital is at full operating capacity after elective surgeries were canceled over the weekend. Gov.-elect Mike Dunleavy announced Sunday that all state offices in Anchorage, Eagle River, Palmer and Wasilla will remain closed Monday. After a preliminary evaluation of structural integrity, officials have decided to close the James M. Fitzgerald U.S. Courthouse and Federal Building on Seventh Avenue “until further notice pending additional investigation of the structure.” The building also doesn’t have heat, and additional parts are needed to repair the boilers. The Historic Federal Building, on Fourth Avenue, “has been deemed ready to open once minor cleanup of the building has occurred,” General Services Administration spokesman Chad Hutson said in a statement. Essential personnel will be allowed to return to certain locations only to retrieve mission-critical work, Hutson said. Announcements on each building’s status will be made by Thursday, he said. Federal agencies will close Wednesday in honor of President George H.W. Bush, who passed away Friday at 94 years old. Michelle Theriault Boots contributed reporting.